Today, August 10, is World Lion Day. It has been set aside to help garner support for one of the most majestic animals on Earth: the lion (Panthera leo). This cat’s cultural significance is almost unmatched. Lion imagery pervades the historic and modern world, and it is often referred to as “the king of beasts.” Lions are also unique amongst cats, forming tight-knit social groups and using teamwork to bring down their prey. Unfortunately, lions are on the decline. This adaptable animal once inhabited southern Europe (Greece and surrounding countries), Africa, much of the Middle East, and large swathes of India. Now it only occupies 8% of its historic range. In the last century alone, lion numbers have plummeted from 200,000 to only 20,000 – and scientists predict further declines are on the way. The lion’s extinction would be both a tragedy and a crime. However, there are bring spots in lion conservation. 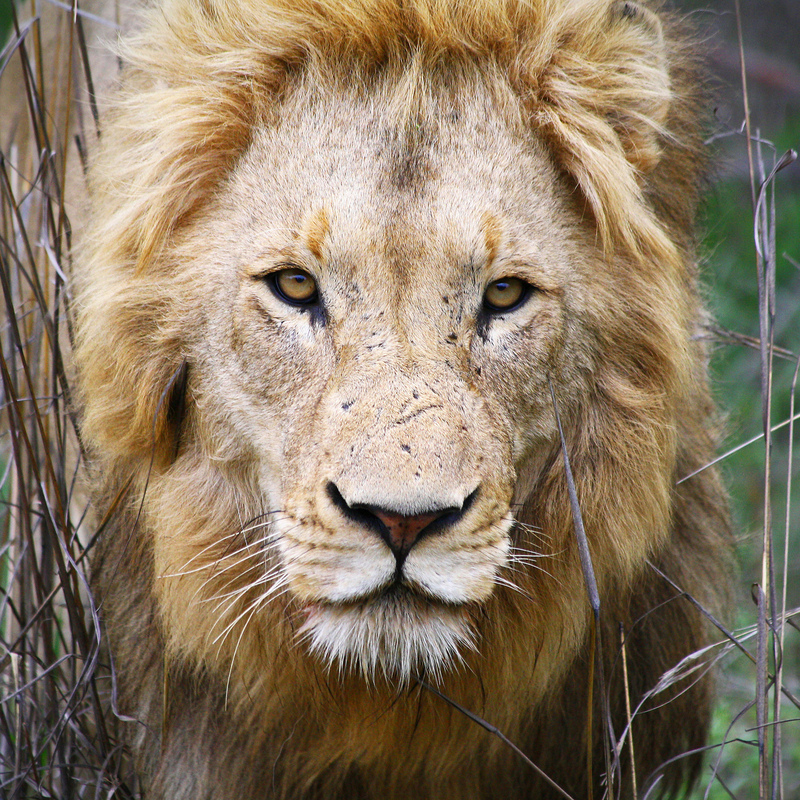 A 2015 assessment found that lion populations were increasing in four countries in southern Africa: Botswana, Namibia, South Africa, and Zimbabwe (Bauer, Nowell, Breitenmoser, Jones, & Sillero-Zubiri, 2015). This means that when properly funded and administered fairly, conservation initiatives can successfully counter the threats facing lions. 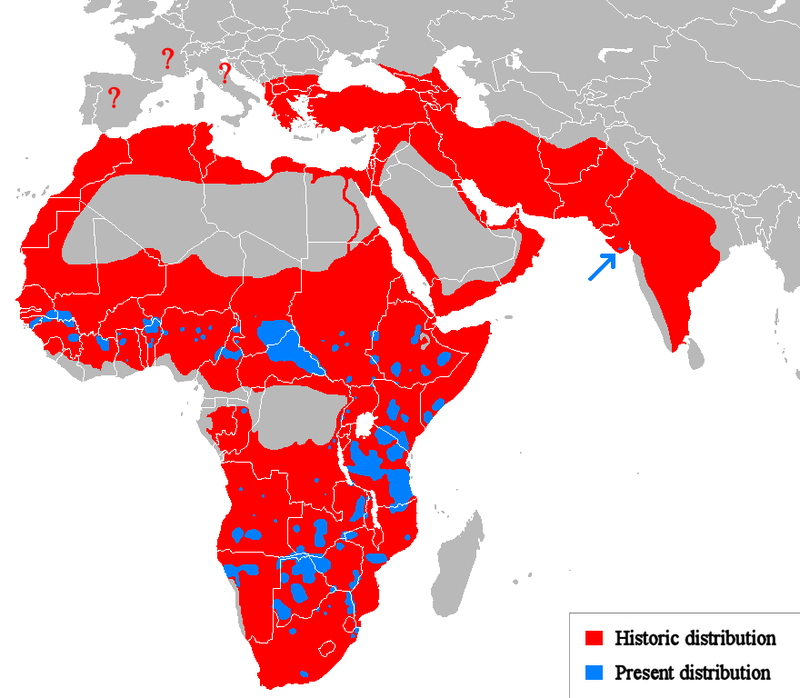 A map showing the current and historical distribution of lions. Lion Distribution by Tommyknocker. CC0 1.0 Public Domain. One such initiative is the Lion Guardian program. 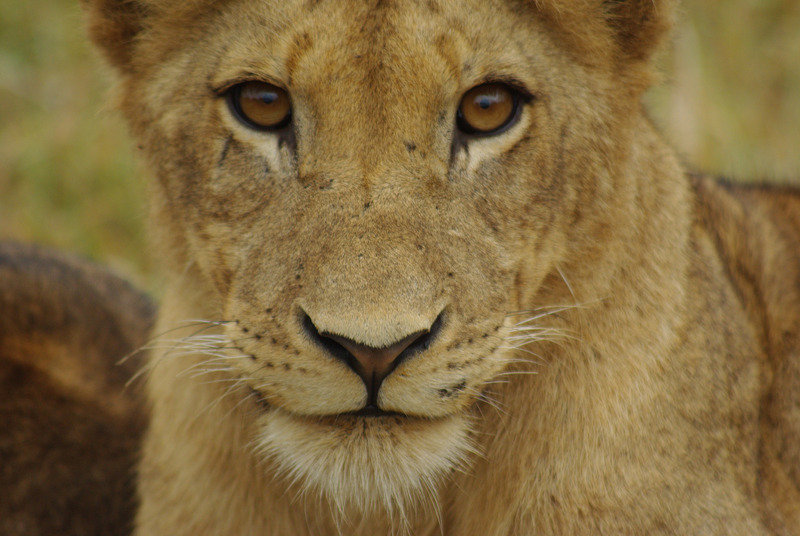 Lion Guardians is a conservation organization that trains local people in Kenya and Tanzania to help reduce human-lion conflict. An important part of the cultures of multiple indigenous groups involved the killing of lions. For young men of the Maasai people, for example, traditional lion hunts (Olamayio) were an important way for them to prove their worth (Hazzah, 2006). They are thus skilled in tracking and locating lions. Groups like the Lion Guardians are recruiting these young men to help find the cats, to warn local herders when lions are in their area, and to teach people about the importance of lions. This allows herders to take preventative action to protect their livestock, along with giving them new ways to think about lions. The National Geographic Society recently published a story featuring a young man who is involved in a similar program. Jeneria Lekilelei of Kenya’s Samburu tribe was brought up to kill lions, but one day he learned about the peril the species is in. This changed his feelings towards them, and he decided to help protect this valuable creature. National Geographic’s article consists of an important interview with Lekilelei. It discusses the methods he uses to prevent human-lion conflict, the challenges he faced in changing his peoples’ attitudes towards lions, and the impacts his work has had. Thanks to people like Lekilelei, lion numbers in his area have increased from 11 to 50. Local people have also become more tolerant of lions, no doubt thanks to Lekilelei’s efforts. This is an encouraging story that shows that there is hope for lions. It is possible to change people’s behaviors towards them, especially if conservationists utilize culturally-sensitive approaches. I highly recommend you read National Geographic’s recent story, as Lekilelei’s inspirational words will surely brighten your World Lion Day. Thanks Zee! I wish that too.